The Pithas are one of the very popular dishes in the Odisha. Most of the festivals in Odisha are celebrated with these delicious dishes. This dish is very sweet in the taste. Some of the varieties of the Pithas are Chittau Pitha, Enduri Pith and Chhena poda Pitha. 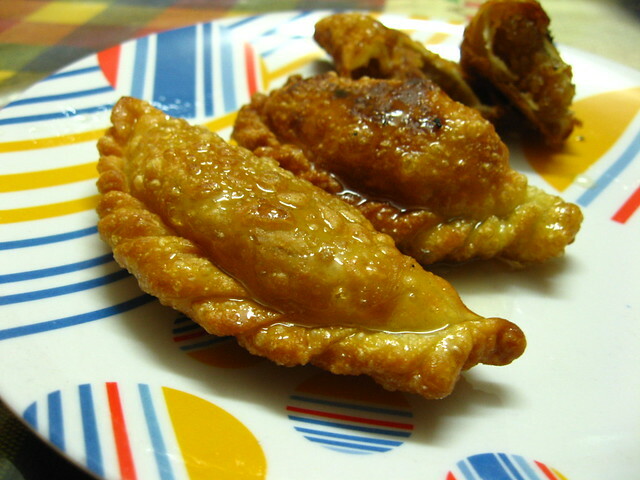 These dishes are really very fantastic.The Pithas are also made of wheat flour and rice flour. These dishes are really very delicious and liked by many people. The rice dishes and rotis is common dish which is eaten in the Odisha. These dishes may seem a little usual kind of food. However, these dishes are having a varieties in it. The rotis made here are very soft and tasty, which tastes awesome with many of the vegetables. The rice is eaten either with the dal or curry. The other vegetables served with it simply increase the taste of the rice. The curries happens to be a very nice tasty dishes in the Odisha. One can easily find many of the curry dishes in many of the restaurants in the Odisha. The are different kinds of curries found in the Odisha. The curries with the tamarind and raw mangoes, has a very nice tastes. Also, the curries made with the lobsters and prawns have a very good taste. Several other types of the curry dishes are Santula, Chaatu Rai, Alu Potala Rosa, Kadali Manju Rai, etc. Khechadi happens to be a very awesome dish in the Odisha. This dish is made particularly with the rice an the lentils. This dish is also eaten on the occasions of the fast. It will be noteworthy to look that this dish is served in most of the regions of Odisha. Many of the tourist visiting the Odisha like eating this dish. Dalma is a well-known local dish in the Odisha. The dish is made with the vegetables and the toor dal or any other lentils. The vegetables included in this dish are banana stem, unripe banana, green papaya, pumpkin, drum sticks, etc. Then various types of spices are added in this dish, increasing the taste of this dish. This dish is really very beautiful and awesome. Saaga is another common dishes found in the daily meals of many of the people in Odisha. The green leaves are mainly used in the preparation of the Saaga. There are different types of Saaga dishes like koshala, khada, gahama, pita, sajana, etc. The Saaga dish is very delicious dish, whose beautiful smell can really increase the appetite of many people. The different types of Saaga dishes are Saaga bhaja, Saga baadi, Kosala saaga bhaja, etc. The Machha Besara is very nice dish eaten by many local people of Odisha. This dish is basically a fish dish. To make this dish one needs to have a Fish, Oil, Red chilli powder, Garlic, Mustard seeds, Onion, Potatoes, Tomatoes, etc. This dish has a very spicy taste and any fish loving eater will definitely like to eat it again and again. This dish can be seen mostly in the coastal and the nearby areas of the Odisha. The Fritters and Fries are another type of dishes that have a very nice taste. There are different kinds of Fritters and Fries being eaten. However, in Odisha the most common Fries and Fritters eaten are the potato Fries and Fritters. The tourist are really fascinated to eat these fries here. The more crispy the Fritters and Fries, the more delicious they are in the taste. Chungdi Malai is a very nice and delicious dishes found mostly along the coastal regions of the Odisha. This dish basically includes prawns, coconut milk, various types of spices, etc. This dish has a great taste when eaten with the Basmati rice. The dishes are served in many of the restaurants. There are many people in the Odisha who like eating this dish at least in a weak. This dish is also called as “Chingri Maach’er Malai Curry”. Malpua is a very tasty dish found everywhere in the Odisha. This dish is just like a pancake which includes various ingredients like milk, crushed ripe bananas, cardamoms and coconut. It is then fried and served. This dish is comparatively very easy to make, so the experts surely make these dishes tasty and also the new people can make these dishes tasty to a much extent.